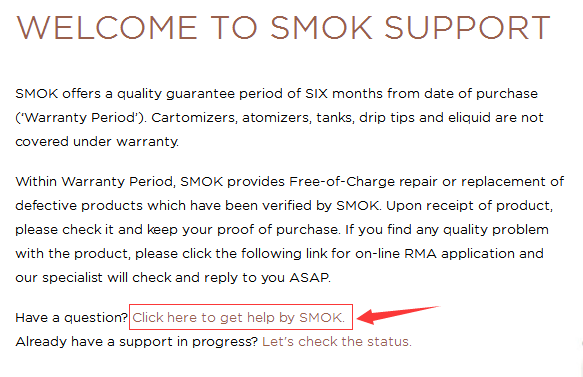 How to get contact with SMOK about warranty problems directly？ - SMOK® Innovation keeps changing the vaping experience! Please kindly note that we now have after-sales system on our website. After you log in you can click the following link for on-line RMA application. Our specialist will check and reply to you ASAP. Here is the link for your reference. As shown in the following, just click the button of “Click here to get help by SMOK”.